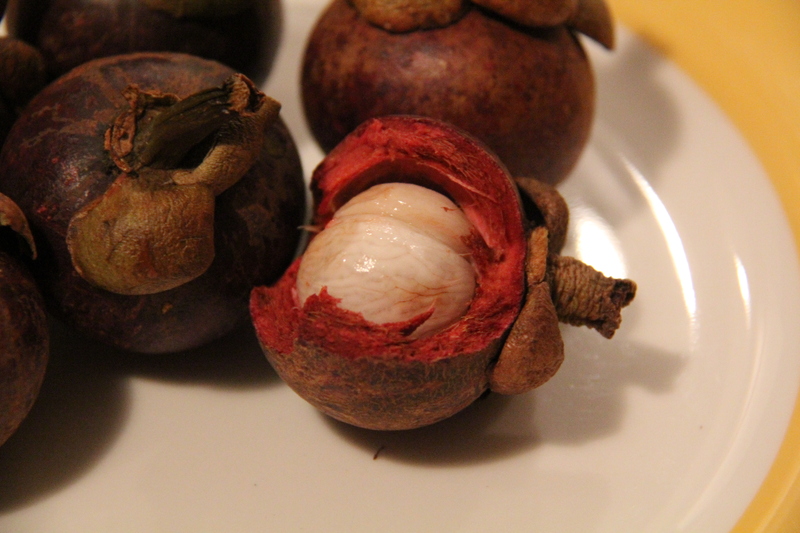 Have you ever heard of a mangosteen? Being a lover of all things fruit, this item made it to my great adventures list as something I just had to try. I had heard that it was the best fruit in the entire world, and it was super expensive and rare in the United States. This fruit comes from a tropical evergreen tree mostly found in Southeast Asia and in some South American countries. I hadn’t “googled” the fruit in awhile, so I wasn’t really sure what to expect it to look like or taste like when my husband brought a bunch home for us to eat on Saturday. He had been out exploring in Chinatown after his class, and stumbled across this rare fruit at a decent price (although still not cheap!) I think $8 a pound. 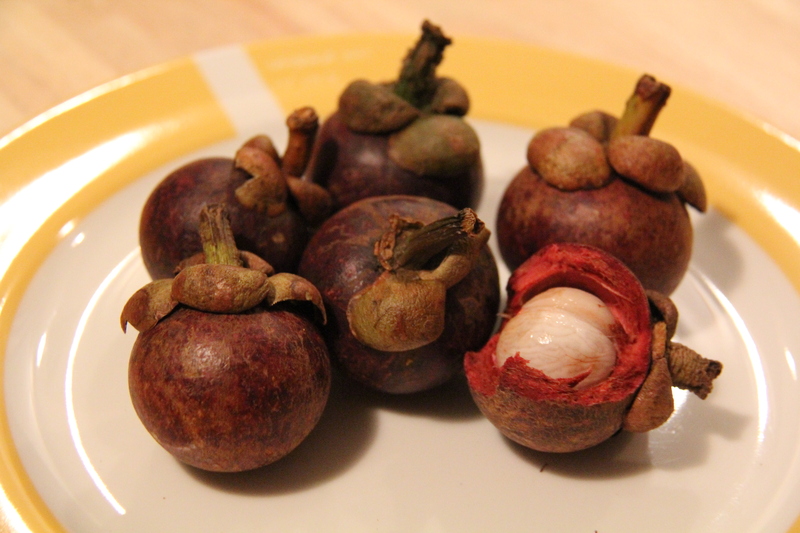 When mangosteens first arrived in the US, they were sold for $43 a pound! So I’m thinking relatively here. 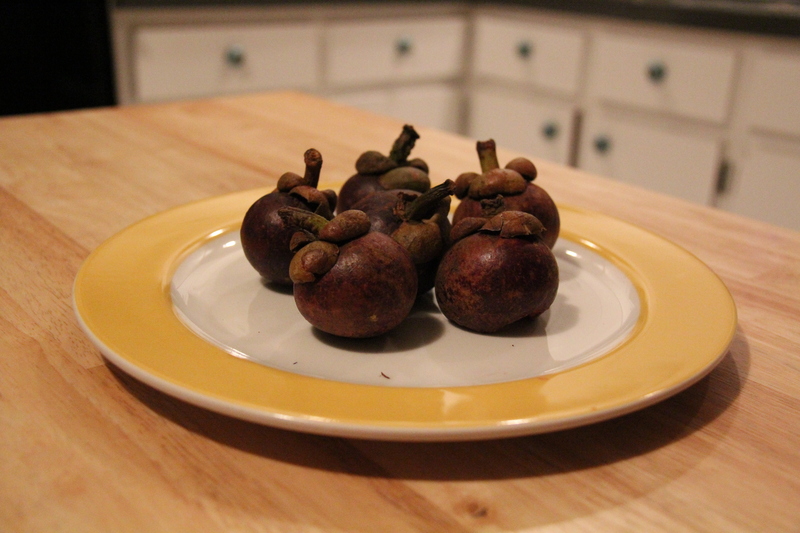 Of course I had to photograph the little buggers, which kind of look like acorns from the outside. The edible inside part tasted sweet and tangy, juicy, and fibrous. The flavors were a bit like a type of small orange, and nothing like a mango. There wasn’t much meat on the fruit, and although it was indeed tasty, there is no way I am claiming this as the best fruit in the world. That being said, I am excited that I was able to try such a rare find in the U.S. I would definitely eat it again, although maybe next time I would wait to travel to Southeast Asia instead of paying $8 a pound. 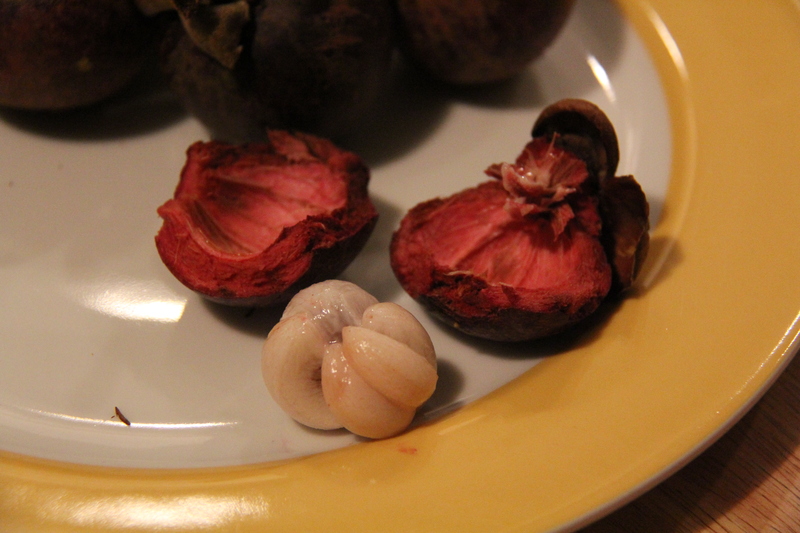 Have you ever tried a mangosteen? If so, what did you think? I didn’t know this was on your list. 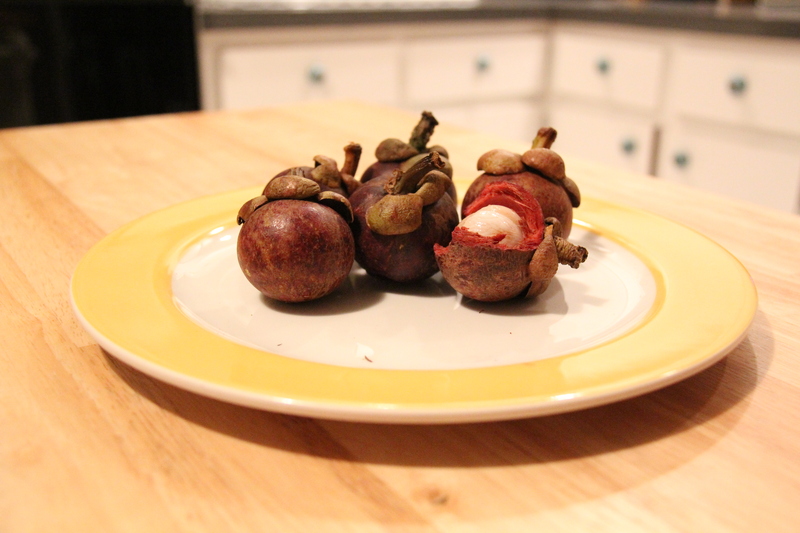 Mangosteen’s are really, really refreshing when you are dying of heat! When backpacking in SE Asia they were a great treat after a long hike to help quench my thirst. Also because of the hard casing you can just throw them in your bag. I had no idea this existed. They look a bit strange… but I am up for trying anything once!